Schedule an Appointment with a Veterans Service Officer 716-858-6363 or call and ask about current job/career opportunities. A two-year grant funded by The John R. Oishei Foundation began the Veterans Employment Group of Buffalo/Niagara Falls. Housed inside Goodwill Industries of WNY and managed by Goodwill employees, veterans have the opportunity to gain employment with the assistance of Goodwill job developers. Julius Gallagher, Case Manager of Goodwill’s Veteran Services, recruits veterans who want to enroll in Goodwill’s program. An important source for referrals originates at the Veterans Services Office of Erie County, located on the 8th floor of the Rath Building. Offering a variety of assistance opportunities for military vets, the Veterans Services office forwards potential job-seeking veterans to Goodwill. Gallagher will, too, frequent the office to greet veterans who may have interest in finding employment. The Erie County Veterans Service Agency has been a valued resource to Goodwill. Their referrals and hospitality inside their offices reinforces the bond that ex-military personnel are here to help their brethren in any way. Once an individual is identified as a veteran, and after officially enrolling in Goodwill’s program, he or she is assigned to a job developer. A job developer will meet with the individual, help draft and/or edit a resume, assist finding job openings that interest the individual, help apply to those jobs, offer interviewing tips and more. The veteran will work with the developer for as long as they would like. Even after an individual finds work, Goodwill will follow up to see that their transition to employment was smooth. Contact Mark LaHood Program Manager for Veteran Services for any Goodwill veterans' services inquiry. These additional credits, which are combined with the final score obtained in the examination, may be granted to PASSING CANDIDATES at the time of the establishment of the eligible list. Candidates are permitted a minimum period of 60 days from the last filing date to submit veterans credits forms for a particular examination. These forms will be accepted until such time as the eligible list is established. It is the responsibility of the candidate to insure that all required forms are filed timely. For more details about veterans credits instructions and information, click here. Government jobs in Erie County, its towns, villages, school districts and authorities are typically filled from eligible lists resulting from examinations given for specific titles. The examination may be a written test, a performance test, or an evaluation of training and experience, or some combination of these and other factors. For further information you may call the Erie County Civil Service Exam Line (716) 858-8729. 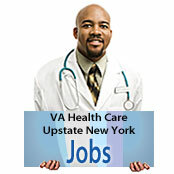 You may obtain application at the Erie County Personnel Office, Rath County Office Building, 95 Franklin St., Buffalo. Applications are also available at all libraries, town and village halls, county office buildings, NYS Employment Service and many non-profit agencies. A non refundable filing fee is required for each exam. If you are entitled to Veteran's credits, you should claim these credits when you file your application (and attach a copy of your DD214 military discharge), but you have an option to waive them any time prior to appointment. Be sure to enter all information regarding your claim as required on the application regardless of whether or not you have previously established your claim for such credits with a local civil service agency or the New York State Department of Civil Service. If you have previously used these credits for permanent appointment to a civil service position, you may not claim them again. Their address is: Department of Human Resources, Division of Civil Service, Room 1001 City Hall, Buffalo, New York 14202. You can call (716) 851-5900 during normal office hours Monday to Friday between 8:30 AM and 4:30 PM or during summer hours: Monday to Friday, 8:30 AM to 4:00 PM. The Buffalo Employment and Training Center brings together a variety of workforce development organizations and partner agencies with a primary goal of assisting residents of Buffalo and Erie County to gain employment and assist employers in finding qualified workers. Hours: M-W-Th-F: 8:30 a.m. - 4:30 p.m., T: 8:30 a.m. - 8:00 p.m.
Be sure to identify yourself as a veteran, and ask for the "Local Veterans Employment Rep" (LVER) or the "Disabled Veterans Outreach Person" (DVOP). As a military veteran, you receive priority service at the NY State Department of Labor. The Corporation is charged with creating and enhancing entrepreneurial business opportunities for Veterans, including Service-Disabled Veterans. The Board of Directors is appointed by the President of the United States and provides governance over TVC. The President/CEO oversees the organization's programs and day-to-day activities. NOTE: Employers are required to provide to persons entitled to the rights and benefits under the Uniformed Services Employment and Reemployment Rights Act (USERRA), a notice of the rights, benefits and obligations of such persons and such employers under USERRA. Employers may provide the notice, "Your Rights Under USERRA", by posting it where employee notices are customarily placed. However, employers are free to provide the notice to employees in other ways that will minimize costs while ensuring that the full text of the notice is provided (e.g., by handing or mailing out the notice, or distributing the notice via electronic mail).